Now it is time for me to shut down the computer and take my Christmas break. 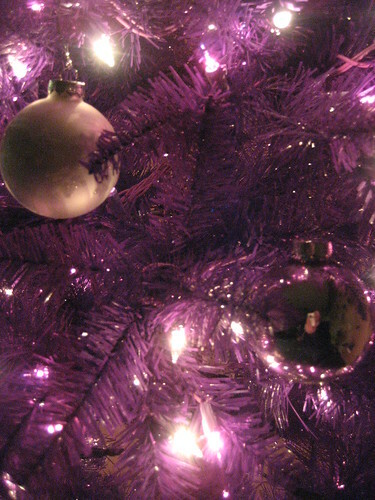 Mr. Karen and I didn’t put up a tree in our house this year, so this shot of the purple one at the office which I took on my way out of the door last night will have to be my online holiday card. Merry Christmas to those of you celebrating! See you on the 26th.